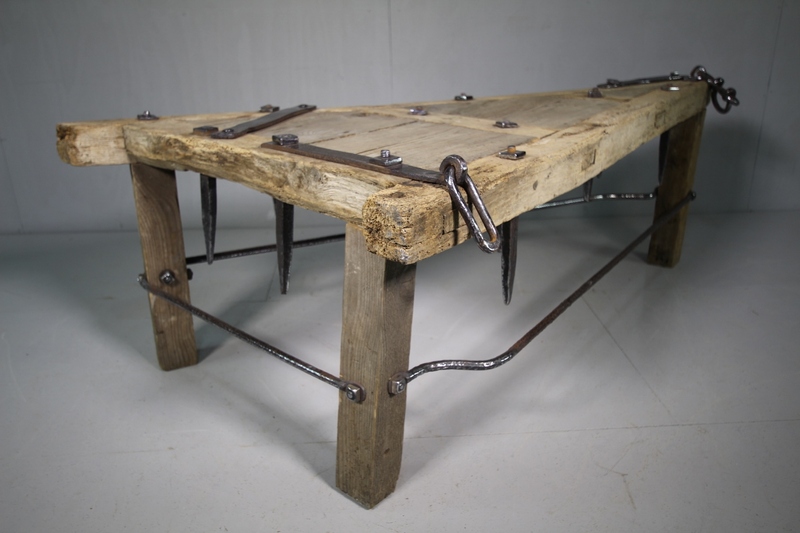 Amazing Field Harrow Antique Oak Coffee Table -2 Available. 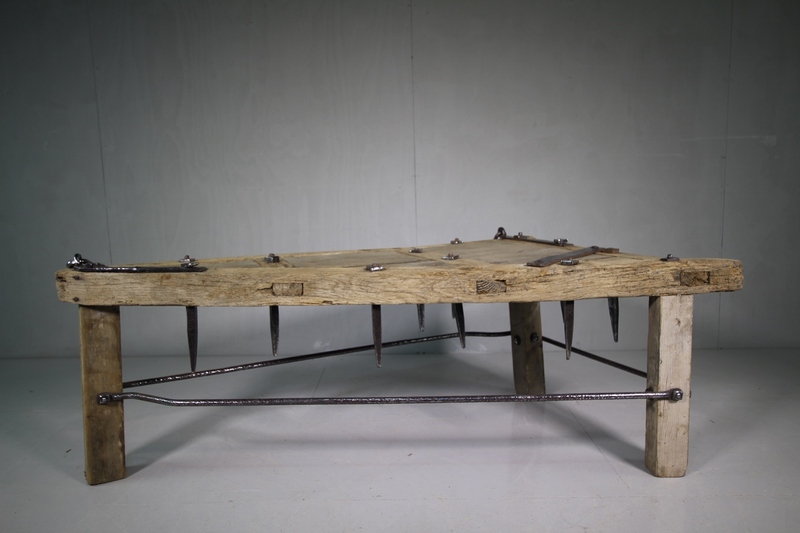 We have two of these fabulous, English 19th century antique field harrow coffee tables available. These harrows were horse drawn across meadowland, spikes down to aerate the field. Both the tables are the same size and design. 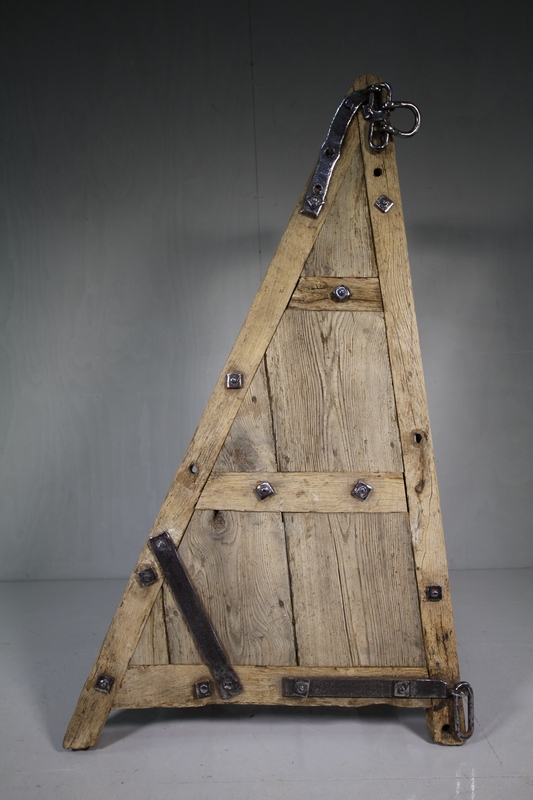 Now made into interesting antique coffee tables with an English farming history. 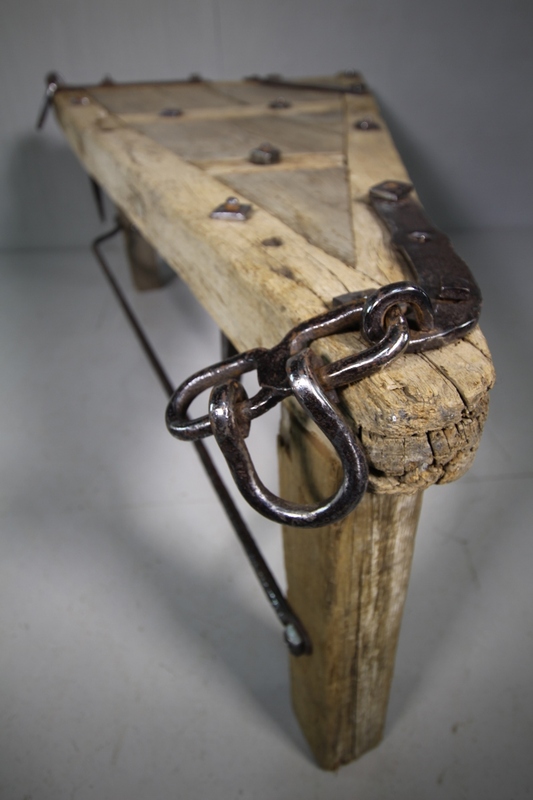 All the original iron has been polished with antique oak legs added to make into tables. Very eye catching antqiue tables! Priced individually.